The iPad mini is not only small; It’s fast, incredibly capable and now even better. What is there not to love about the new iPad mini? Take one on lease today with HardSoft. The new 12.9″ & 11″ with Face ID, Liquid Retina Display and the A12X Bionic chip & Neural Engine. Flexi-Lease or Pure Rental always with free accidental damage cover. The iPad features a 64-bit A10 chip. With 9.7inch Retina display and ten hours battery life its the entry-level iPad that’s available to lease. Looking to equip your School or Institution with the latest technology available? Then you’re in the right place, find what you’re after and get a quote tailored for you. Whether it’s for an office, a classroom, or just for personal use, the Apple iPad has become an essential piece of kit. HardSoft offer leasing solutions on the iPad Mini 4, iPad and the iPad Pro (which is available in 10.5-inch and 12.9-inch) as well as storage cabinets and trolleys – ideal for schools. 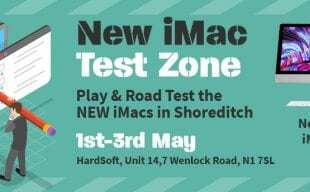 Hardsoft is an Authorised Apple iPad Reseller, so we’re able to offer flexible lease terms on all our Apple Products. Our RETURN, RETAIN, RENEW option on iPad hire and leasing allows for complete flexibility. 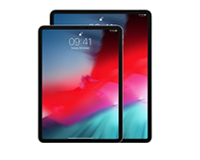 We truly believe that iPad leasing is an unbeatable package for the business user, allowing you to sustain efficient cash flow to the business with the addition of tax relief. You also get 3 years accidental damage cover so you’ll never have to worry about repair costs for smashed screens! The iPad Pro is available in two sizes – 10.5″ or 12.9″ – to lease. 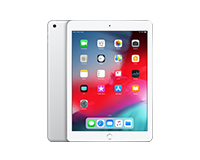 Designed for professionals and features new technology making it the most powerful and efficient iPad ever released as it uses the latest A10X chip, M10 processor and up to 10 hours battery life. Experience engaging and vivid colours with the most advanced Retina display ever, with the 12.9″ model having 78% more display area than the iPad Air 2. Lease together with the new Apple Pencil and Smart Keyboard (the new 10.5″ can now take a Smart Keyboard too!) to experience the full extent of what this iPad can do. In terms of iPad storage, we have two excellent solutions. The new KT-32 Charge & Store Trolley allows you to manage all of your iPads at the same time. Also with the KT-32 Charge & Sync Trolley, sync application downloads and software updates on all your iPads simultaneously with the press of a button. HardSoft offer a Mobile Device Management solution (MDM) which is VMWare Airwatch. HardSoft can enrol devices into an Apple DEP. and are Apple approved for Device. I am self-employed. Can I still lease an iPad? Yes as well as sole traders and partnerships. HardSoft have licensing under the FCA to offer ‘regulated’ leasing contracts for the full three years. Can you lease an iPad to ‘start-up’ companies? Yes though again we may ask for bank statements to prove to us the business has some money to pay the rentals. Do you require a Directors Guarantee to lease a Mac? It’s something we ask for in about 5% of orders for a Mac. The main reasons we will ask for a Directors Indemnity are 1) New Start Company with no accounts filed 2) Accounts filed at Companies House that show a negative net worth or the value of the order exceeds the net worth of the company 3) Year on year declining accounts. What if my Company has a CCJ or a poor credit history? We may need to ask for Personal Guarantees (often called Directors Indemnities) and may ask for additional info to prove affordability. This is usually a bank statement. Is your iPad case included mandatory and is it any good? Yes we need to supply a case with all iPads on lease. 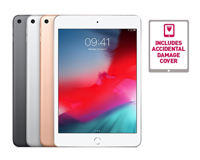 Because we include iPad insurance we need to feel comfortable that the iPad is as safe as possible from drops and damage from day one of delivery. We do offer Apple cases if you want something more personal. Yes it is an all risks policy that covers against theft and accidental damage for the length of the ipad lease. It doesn’t cover loss such as leaving it unattended on a train or in a public place. Can you register the Apple equipment under the Apple Device Enrolment Program? Yes, we can. Our DEP reference number is 6DBD7F0. Only Apple equipment from the Apple Store or an Authorised reseller can be registered. Do you offer an Mobile Device Management for iPads? Yes we do we recommend the solution from VMWare Airwatch as our solution. This MDM is 80pence per week and will control both Apple desktops as well as mobile devices. Call us for a demo on Airwatch. What is the minimum order value to lease an iPad? It is £4.95 per week plus VAT. Payments are collected monthly or quarterly. How competitive are HardSoft prices? We are the cheapest source for iPads for business on lease and hire. Since 1984 we have been specialising in leasing computers just to business users. Normally 2-3 days though ask us and we can probably do better and we can deliver at weekends at no extra. When is the first direct debit? Normally the first of the month following delivery for monthly payments and if it’s a quarterly payment it will be on the next quarter. Certainly, we are and have been for nearly ten years. Our registration with Apple is 300206 if you want to check. It’s three years though remember you can cancel and we will collect the Apple iPad after two years. Note there is a £75 fee to reprocess the iPad for resale by us. Why is the ‘Pure-Rental’ price cheaper? Because you do not have the right to own the computer at the end of the lease. It is simply a long-term hire agreement whereby you return the equipment at the end. Does the Financial Conduct Authority regulate HardSoft? Can I take my iPad to an Apple Store for repair? You can only in the first year. 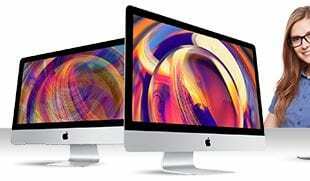 You will find our No Quibble three year warranty is better than Apple Care as it includes a Loan Mac whilst yours is being repaired. Do I have to pay a lump sum at the end to own iPad? Our Flexi-Lease includes the option to own the iPad for normally just £1. If you choose the cheaper ‘Pure-Rental’ then you don’t get this option though you could buy it at the end of the three years but at the market/fair price. When you lease an iPad from HardSoft, you get peace of mind. You’ll have a 3 year warranty and the option for a loan iPad should yours ever need repairing. 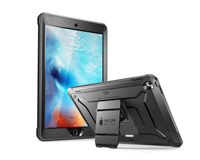 You also get an i-BLASON rugged carry case to help protect your iPad from drops, chips and scratches. Technical The HardSoft technical team have Apple certification and are trained to a very high level. The unlimited telephone technical support and remote assistance is included in all iPad leases. Our 3 years FREE warranty surpasses the Apple 1 year warranty and means that if you have any problems with your iPad we will collect it, repair it and return it in a timely manner. You can also take advantage of our loan machines to negate your down time. 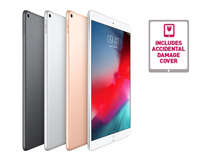 The accidental damage cover also included in your iPad lease means that if you crack your screen or have any spillages, we will also be happy to collect and repair free of charge. HardSoft have been trading for over 30 years and are not only an IT specialist but a finance authority. As we cut out the middle man, our unique deals are unbeatable on price. As we have all leases covered, your fixed payments will be all that you need to spend on your IT. Our Apple leases make great business sense, with 100% tax efficiency and the same great deals available for new and established companies get your quote today!